There is no doubt that digital marketing has become one of the powerful tools for brands to garner high profits and recognition. Let’s go through some benefits that can be availed by using digital marketing. Today, having a good product is not enough. To cater to a generation obsessed with visibility, your products need to be right on the line of visibility as well. 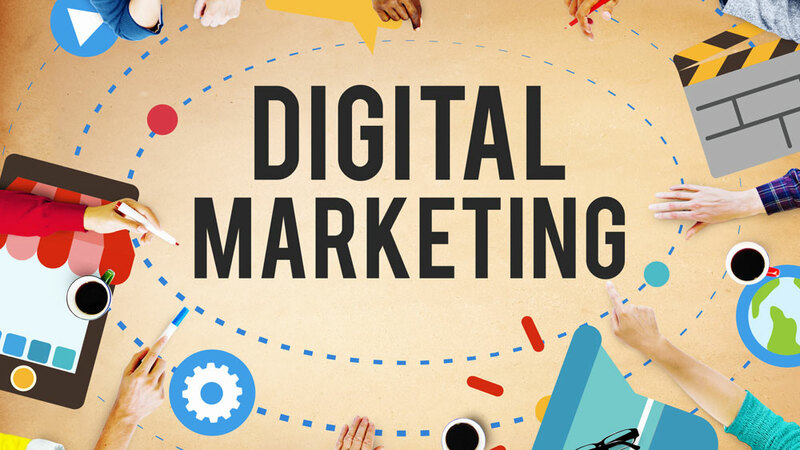 With the help of digital marketing, one would be able to become visible in their targeted markets with valuable contents and marketing tools that would provide them with spot-on solutions. Today, close to 74% of adults use social networking sites to look for answers and about 90% of them trust the reviews of their peers over experts while selecting a product. Today, businesses use digital marketing as the greatest means of attracting huge crowd. They with their unique approach to a brand and their sharp marketing strategies are the best way to pinpoint and engage the consumers in thinking about the product. This stops them from hopping from page to page without registering much. With the help of a great digital marketing, you can ensure that your product is on the mind of customers over other products from similar companies. For anyone trying to create a great impact, the mind of a consumer should avail digital marketing that would aid you in converting the minds of shoppers when provided with the right triggers. The primary objective of digital marketing is to support you in increasing your product market share, gaining qualified leads, building brand awareness as well as creating a formidable reputation. Digital marketing also helps brands to generate more information along with an engaging platform for the community that offers visitors precious information that encourages trust of the consumer on the product. A website must have a landing page but it should have more than a home page and a social media page as well. Supportive blogs on products should be added to build the value of your product. The tools of Search Engine Optimisation (SEO), Pay per Click (PPC), and web Public Relations (PR) are the best modes available in digital marketing that would help you give your product a better reach virtually. Search Engine Optimisation or SEO would enhance the Google’s search rankings on the results page that would drive traffic to your website. Pay per Click or PPC allows a brand to rank high in the search space when executed well. It creates a higher level of brand awareness. It is more cost-effective than other search campaigns and gets more cost effective with passing time. Web Public Relations (PR) results directly from SEO and PPC activities. The articles and news that you allot on your webpage build a great reputation for your product. Web PR increases the ongoing traffic on your site. Pinstorm was founded in 2004 by Mahesh Murthy. It focuses on integrated digital marketing and provides services like Social Media Marketing, Search marketing, Search engine marketing, bids, campaigns, prospects, ads, etc. Established in the year 2009 by AjiIssac Mathew (CEO + Co-founder), the company offers PPC, SMO, SEO, conversion optimization and affiliate marketing are some of its significant services. iStrat deals with brand management and marketing. It was set up in the year 2003 by Navneet Singh Sahni and Sonya Sahni. The company offers a wide range of services including search engine optimization, digital communications services, social media, web solutions, e-commerce services, relationship marketing, online marketing, interactive kiosks, digital films, etc. To succeed in the highly completive of wellness, you need all the help and effort possible to etch the name of your product in the mind of your customers. Digital marketing would only help in building name for your product in the virtual market. This would get half the job done. The rest is up to the performance of your product in regular use.